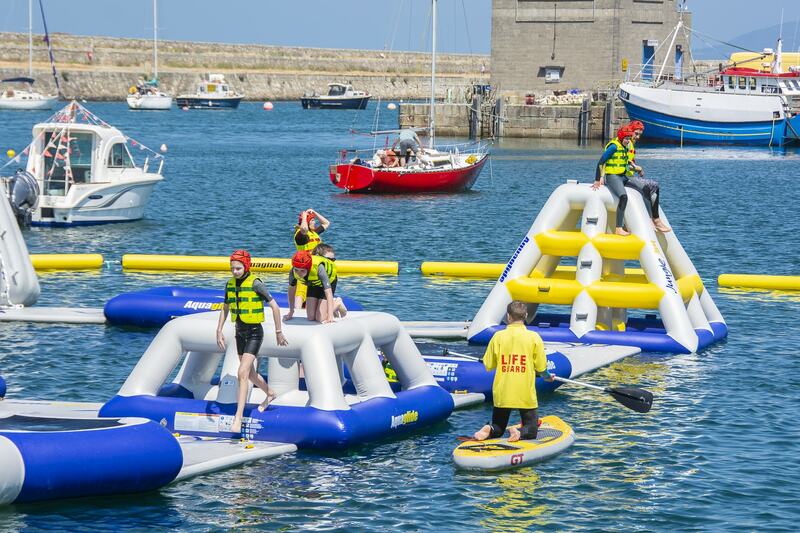 Bring your team to Dublin’s only inflatable aqua park for a fun time on the water. 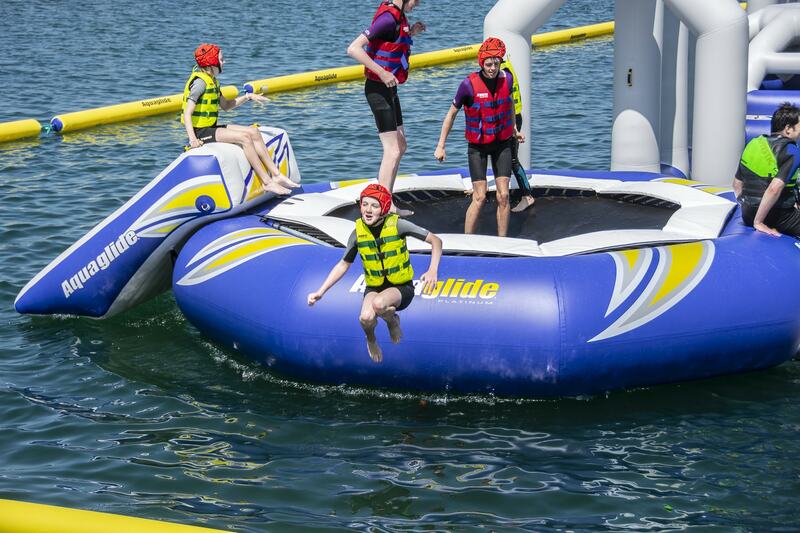 Our parcour of obstacles on the water is guaranteed to bring a smile to their faces as they’re bouncing, running, jumping and climbing or learning to fly on the blast bag. There is no set programme which gives participants the freedom to choose the obstacles that are within their comfort zone and that they enjoy most. The time on the water with us can be as easy going or fast paced as the participants choose. No experience is necessary, you just need to be able to swim. Our team of qualified lifeguards are keeping a watchful eye on all goings on. All prices include a wetsuit, buoyancy aid and soft helmet free of charge. Sessions are one hour long including the safety briefing. Additional spaces can be booked at €15/person if your group is bigger than 30 people. Maximum capacity is around 60 people. Please contact us directly if you have an enquiry for this group size. The price includes a wetsuit, buoyancy aid and soft helmet free of charge for all participants. Each session is one hour long including the safety briefing. Additional spaces can be booked at €15/person if your group is bigger than 50 people. Maximum capacity is around 60 people. Please contact us directly if you have an enquiry for this group size. All session start at the full hour with a safety briefing. Please arrive 30 minutes before the session start time to allow for check-in and getting changed. After your session finishes you should plan another 20 minutes to half an hour to get changed. We provide all equipment including wetsuits, buoyancy aids and soft helmets, so participants only need to bring swimwear and a towel. We meet on our Dutch sea-barge, the Stella, and access the aqua park from there. We have changing rooms and bag storage available on the boat. The storage is communal and unlocked, so please don’t bring valuables to your session, we have a limited number of small lockers for valuables that will require a padlock and you can bring your own or purchase one at reception. Public toilets are located nearby in the harbour. By bus – 7, 7a, 8, 45a, 46a, 59, 75, 111 all serve Dun Laoghaire. The nearest stop with lines 7/ 7a / 46a is Crofton House Stop. By car – there is pay parking available directly on the west pier, but please bear in mind that the car park can get busy , so travel with plenty of leeway to arrive in time for your session. We recommend to car pool or if at all possible to use public transport. 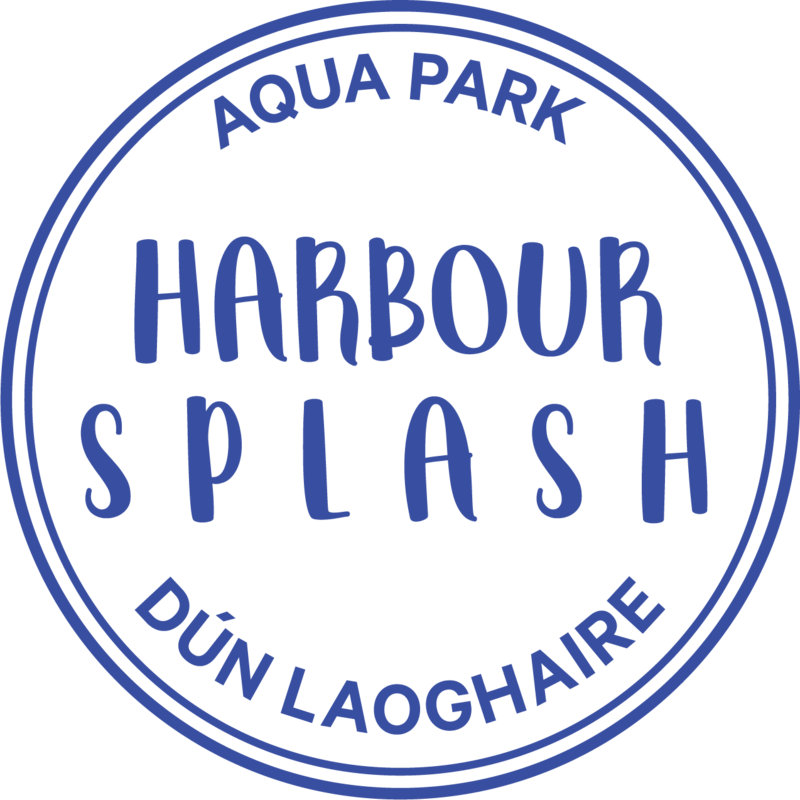 Big Splash Water Parks Ltd. is registered in Ireland. No: 623095.